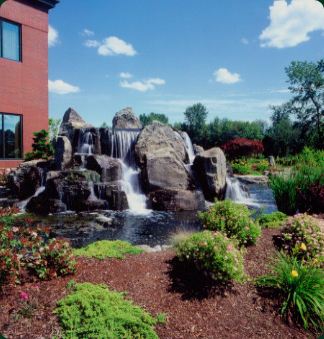 High quality, beautiful, custom water features created to flow with the surrounding environment. The spirit of water included in a landscape is a match made in heaven. Nothing compares to the soothing sound and sight of water flowing in a landscape. This is our true passion. At Landscape Solutions, we can build your water feature dreams. Ponds, streams, bubble rocks, waterfalls and pondless waterscapes are all a possibility. And with any product we build, we have the vision and the experience to allow the feature to connect with you and your landscape. "Landscape Solutions has build our three state-of-the-art water features that have been recognized by the State or Oregon for the outstanding design and workmanship."